Jeremy Lin will be leading an evening of sports ministry outreach April 1 at UBC’s War Memorial Gym. There wasn’t much lead time, but organizers of The Total Athlete with Jeremy Lin are pretty confident he’ll draw a couple of thousand young people to a ‘basketball and faith’ evening April 1. They put out the word just last weekend, and already had 700 signed up by Tuesday. By Wednesday they had decided to change the venue from Britannia Secondary School, which holds about 1,500 people, to War Memorial Gym at UBC, which can accommodate 2,800. Join Jeremy Lin of the NBA Brooklyn Nets to hear his inspiring story about basketball and faith, and what it takes to be The Total Athlete! The evening will include interactive Q&As, fun performances and a skills competition segment featuring streetballer Joey ‘King Handles’ Haywood and other surprise guests to be announced at a later date. There is a modest entry fee ($5) for the event. If there is money left over once expenses are covered, it will be donated to a charitable organization in the Downtown Eastside, to be decided on by Lin and the organizers – Athletes in Action (AIA) and a small group of local leaders. His transition to the NBA made him just one of four Harvard grads to play in the league and one of just a few Asian-Americans. Here’s a short version of the Lin phenomenon. A high school standout in Palo Alto, California, Lin failed to get a basketball scholarship to Stanford, his first choice for college. He settled for Harvard and became an Ivy League star, but wasn’t picked in the 2010 NBA draft. Signed as a free agent, Lin was a benchwarmer for the Golden State Warriors and played for the minor league Erie BayHawks before resurrecting the forlorn New York Knicks in February. As an unexpectedly brilliant point guard, he turned the Knicks into a contender for the championship. The sports world went berserk. Then, in March, he injured his knee, had surgery, and was lost for the remainder of the season. Lin-less, the Knicks were crushed in the opening round of the playoffs by the powerful Miami Heat. Would they have won with Lin? Maybe not. But they’d have put the Heat to a stiffer test – and extended the mania known as Linsanity for a few more weeks. Linsanity was about more than an Asian-American being good at basketball; it was about Asian-Americans being exceptional at more than getting good grades, about proving that our successes aren’t limited to STEM (science, technology, engineering and math) and the classroom. Jeremy Lin didn’t fit into the country’s existing box of Asian-American stereotypes. For the first time in my life, there was an Asian-American taking over American pop culture who wasn’t simply an amalgam of dated racial caricatures. The evening is intended as a sport ministry outreach, not something aimed just at church youth. Lin will share some of his testimony – how he relies on Jesus even though he’s made it to the top in basketball – so organizers hope young church members will bring their unchurched friends. Representatives from groups such as AIA and Youth Alpha will be available to help connect those interested to local churches or fellowships. Lin is in town undergoing extensive rehabilitation from an injury sustained on the first night of the NBA season last fall. 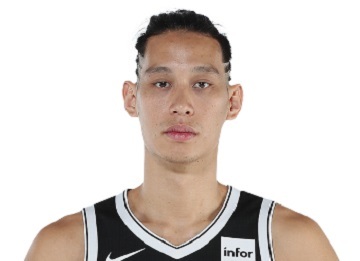 The Brooklyn Nets sent him to the Fortius Sport and Health in Burnaby, which apparently has some connections with Lin’s friend Steve Nash.